In the past year, there’s been much well-deserved attention paid to the life and music of Benjamin David Goodman, clarinetist supreme, cultural icon, King of Swing, trail-blazer and phenomenal improviser — because he was born a hundred years ago. In 2008, there was another reason to celebrate while invoking his name — the seventieth anniversary of his Carnegie Hall concert. I don’t wish to take an iota away from the significance of that event, nor do I wish to dull our reverence both for it and the recordings of that evening. It may be heretical that I find the records uneven — but, then again, attempting to capture any live jazz is risky, and that Carnegie came off so spectacularly is a tribute to everyone’s creative energies. (As an aside, I don’t have much enthusiasm for the recent concert recreations where a first-rate jazz band plays the concert, from first note to last, “live.” The original event is irreproducible, another tribute to its essence.) Perhaps my reaction is the result of having listened to the original recordings too many times in my youth, although the jam session on HONEYSUCKLE ROSE is still thrilling. Here, to celebrate the event, is a snippet from a Goodman documentary: I include it not because of the leaden commentary, but for the silent newsreel footage taken in the hall that night. A celebration of January 16, 1938 that I can applaud whole-heartedly is Jon Hancock’s wonderful book: BENNY GOODMAN – THE FAMOUS 1938 CARNEGIE HALL CONCERT (Prancing Fish Publishing, 2009). Before I explain this book’s virtues, I must reveal my own reactions to much of what is published on the subject of jazz in general and Goodman in specific. Having read the best prose and criticism, I dislike sloppy research, poor attribution and inept paraphrase, polemical ideological statements passed off as evidence. I applaud Whitney Balliett and Martin Williams, Dan Morgenstern and Richard M. Sudhalter even when I disagree with them, because of their insight and their evidence-gathering. But many “jazz writers” have only the opinions and attitudes of others to offer: leftovers presented as fresh. Goodman, too, is a special case. I have savored Bill Crow’s brilliantly lacerating memoir of the 1962 trip to Russia; Ross Firestone’s affectionate, forgiving biography of Benny, SWING, SWING, SWING told me things I hadn’t known and was therefore valuable. Ultimately, Goodman the musician is a more absorbing study than Benny the neurotic. Hancock’s book is exciting because it does offer new information about this most singular event. Even better, he has made a point of not taking familiar statements as gospel without tracing them back to their original sources. The result is a fascinating mosaic. I knew, for instance, that Harry James said, “I feel like a whore in church,” joking about his being in the august hall, but I knew nothing of the newspaper reports before the concert: predictions that Big Joe Turner might sing and W.C. Handy might appear, that Mary Lou Williams was writing a “Jazz concerto,” and, even better, that Lionel Hampton was composing a “Swing Symphony” for the occasion. And there’s just as much pleasure in the visual memorabilia. John Totten was the stage manager at Carnegie, and he collected signatures in his autograph book. One page of this book (beautifully reporduced) has the signatures of Benny, Jess Stacy, Hampton, “Ziggie” Elman, Gordon Griffin, and others; another page has the signatures of George Koenig, Martha Tilton, Pee Wee Monte, and “best remembrances” from Joseph Szigeti. That’s priceless. There’s also a photogrraph from the Ferbuary 1938 Tempo Magazine of a pre-concert rehearsal for the jam session: Freddie Green, Benny, Lester Young, his high-crowned hat pushed back on his head, a grinning Gene Krupa, an intent Harry James. Is it evidence of Benny’s over-preparation that he would have musicians rehearse to jam on HONEYSUCKLE ROSE — or is it just that he wanted the opportunity to play a few choruses with Lester and Freddie? A beautiful picture of a young (he had just turned 29) Gene Krupa adjusting his tie between sets in the Madhattan Room has him against a background of brass instruments that, curiously, looks like the work of Stuart Davis or someone inspired — at first glance, I thought that the painter (and occasional drummer) George Wettling had been the artist. Hancock’s book also reproduces the twelve-page concert program; here one finds announcements for upcoming concerts by Rudolf Serkin and Adolf Busch, advertisements for Schrafft’s and the Russian Tea Room, for Maiden Form brassieres and Chesterfield cigarettes, and (something to live for) notice that the Gramophone Shop would have on sale on January 22, 1938, Teddy Wilson’s Brunswick record of MY FIRST IMPRESSION OF YOU and IF DREAMS COME TRUE. These lovely artifacts, including a ticket from the concert, shouldn’t make us forget that the real glory of the book is Hancock’s meticulous (but never stuffy) eye for detail — that pro-Franco demonstrators picketed Carnegie the night of the concert, chanting “Benny Goodman is a red from Spain,” necause Benny had played a concert for the Spanish Loyalists in December 1937. Ziggy Elman’s rejoinder, “No, he isn’t, he’s a clarinet player from Chicago!” satisfies me, even if it did little to placate the protesters. The centerpiece of the book is Hancock’s easy, unforced commentary on the music played at the concert — forty pages of analysis and commentary, neither highflown musicology in the Gunther Schuller way or a fan’s yipping enthusiasm — something to read while the compact discs of the concert are playing. 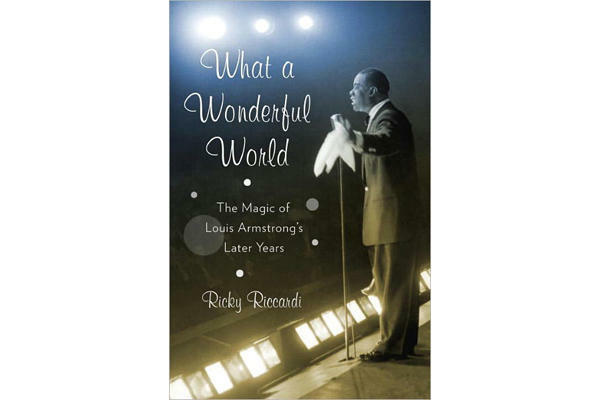 Anything about the concert — the microphone setup, the photographs and newsreel footage — as well as the recordings made, the mythic story of their re-discovery, their various issues . . . . up to Benny’s later appearances at Carnegie — all are meticulously covered by Hancock. And there’s a touching reminiscence of BG at home by his daughter Rachel Edelson that is a masterpiece of gentle honesty. Reviewers have to find flaws, so I will say that a few names are misspelled, as in the pastoral “Glen Miller,” but since none of these musicians were in the Goodman band, I and other enthusiasts forgive Hancock . . . while applauding his tremendous effort, both enthusiastic and careful. Writing this post, I must add, took a long time — not because my mind wasn’t made up within the first fifteen minutes of looking at the book, but because I kept getting distracted from writing to reading and re-reading. Good job! Jon has a website, www.bg1938.com., where you can find out more about the book — and the more important information about how to get your own copy. And you can add your own opinion about Just Who the Mystery Man is. Someone has to know! Giving thanks shouldn’t be restricted to grace before meals. When I think of the people who formed my musical taste, Whitney Balliett, who died last year, is at the top of the list (joined by Ed Beach and Stu Zimny). As I was truly learning to listen, I would read his work, immersing myself in an essay on the trumpeter Joe Thomas while listening to the relevant records: an enlightening experience, not just for the clarity and empathy of Balliett’s insights, but for the beauty of his understated, accurate prose. Balliett made readers hear — as they would have been unable to do on their own. Balliett was generous in person and on the page, and I will have more to say about him in future postings, but here is a piece I wrote about his work several years ago. He was particularly pleased by my last sentence, which became a blurb for this book, something of which I am very proud. AMERICAN MUSICIANS II: Seventy-One Portraits in Jazz. By Whitney Balliett. Oxford University Press, 1996. $39.95 520 pp. “Aesthetic Vitamins,” Whitney Balliett’s portrait of Ruby Braff, concludes with Braff’s self-assessment: “I know I’m good and I know I’m unique. If I had to go out and hire someone just like me, it would be impossible, because he doesn’t exist.” Such narcissism would not occur to Balliett, a modest man, but Braff’s words fit him well. Others have written capably of jazz musicians and their anthropology, but for forty years Balliett has been a peerless writer of jazz profiles, a form he has perfected. In American Musicians II, Joe Oliver, Ornette Coleman, Sonny Greer, Art Farmer, and many others glow under his admiring scrutiny. Deadly satire, however, was not his usual mode, for he preferred to praise the poets of jazz — lyrical improvisors of any school. In reviews published in a three-month period, he celebrated George Lewis’s band for the “sturdy and lively dignity” of its “absorbing ensemble passages,” noted Cecil Taylor’s “power and emotion,” acclaimed Roy Eldridge’s solos for “a majesty that one expects not in jazz but in opera.” His sustained affection for the music is evident throughout American Musicians II, an expanded edition of his 1986 American Musicians, with new portraits, whose roll call reveals him unhampered by ideologies: Goodman, Mel Powell, Dorothy Donegan, Bellson, Bird, Dizzy, Buddy DeFranco, Rowles, Shearing, Braff, Knepper, Desmond, Walter Norris, Thornhill. Balliett does not present what he hears in musicological terms — Gunther Schuller would have notated what Jamal and Singleton played — but captures sound, motion, and rhythm in impressionistic images equally enlightening to neophyte and aficionado. Like the best improvisations, his writing is both surprising and inevitable; he listens with great subtlety and makes shadings and nuances accessible to readers. He is a master of similes and metaphors, in deceptively simple prose. Skeptics who think that what he does is easy should sit down with a favorite CD, listen to sixteen bars of Bix, Ben, or Bird, and write down what they hear in unhackneyed words that accurately convey aural sensations. Balliett avoids the vocabulary that conveys only a reviewer’s approval or disapproval: A “is at the top of his form”; B’s solo is “a masterpiece”; C’s record is “happy music played well,” etc. Quietly and unpretentiously, finding new, apt phrases, he teaches readers how to listen and what to listen for. Balliett’s Profiles (no doubt encouraged by his New Yorker editor William Shawn, an engaging amateur stride pianist) enabled him to create expansive portraits. 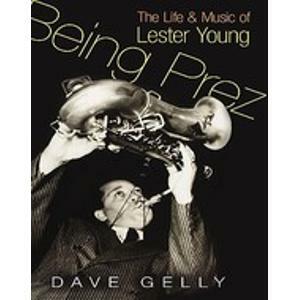 Were his subject deceased, a fate all too common to jazz musicians, Balliett could do first-hand research among surviving contemporaries; his Lester Young Profile is illuminated by the recollections of Jimmy Rowles, Buddy Tate, John Lewis, Gene Ramey, Sylvia Syms, Gil Evans, and Zoot Sims. Since they are not the same people retelling the same stories, the result is fresh, insightful, and we see and hear Lester as if for the first time. If the musician were alive, Balliett could observe, hang out, always with extraordinary results. He has visited the famous, but American Musicians II is not a self-glorifying book of big names (“I Call on Duke Ellington”). He has brought worthy supporting players (Mel Powell, Tommy Benford, Jimmy Knepper, Claude Thornhill) into the spotlight, yet he is no archeologist, interviewing the anonymous because no one else has and because they are still alive. One of this book’s pleasures is the eavesdropping he makes possible. Musicians, shy or seemingly inarticulate, sometimes self-imprisoned by decades of stage witticisms, open their hearts to him, describing their peers and themselves with wit and unaffected charm. Unselfishly, Balliett makes the musicians who talk with him into first-rate writers. Here is Clyde Bernhardt on Joe Oliver: “He was really comical about color. If he spotted someone as dark as he was, he’d say, ‘That son is uglier than me. I’m going to make him give me a quarter.’ Or he’d light a match and lean forward and whisper, ‘Is that something walking out there?’ He wouldn’t hire very black musicians. I suggested several who were very good players, but he told me, ‘I can stand me, but I don’t want a whole lot of very dark people in my band. People see ’em and get scared and run out of the place. '” Vic Dickenson, musing on roads not taken: “I know I wouldn’t have been a good doctor, and I wouldn’t have been a good cook. I know I wouldn’t have been a good janitor, and I don’t have the patience to be a good teacher. I’d slap them on the finger all the time, and the last thing I ever want to do is mess up my cool.” Balliett’s Profile of his hero Sidney Catlett closes with Tommy Benford’s memory: “I have a pair of Sid’s drumsticks, and this is why. I was at Ryan’s with Jimmy Archey’s band, and one Monday, after Sid had sat in, he left his sticks behind on the stand. I called to him after he was leaving, ‘Sid, you left your sticks,’ and he said, ‘That’s all right, man, I’ll be back next week.’ But he never did come back.” When his subjects were alive, these Profiles might have seemed only beautiful prose. Now, when we can no longer see most of their subjects in person, the historical value of Balliett’s evocations is inestimable. Through his writing, readers have been invited, vicariously, to join in gatherings and occasions otherwise closed to us. The Profiles enabled him to eat peanut-butter-and-bacon sandwiches with Bobby Hackett, share a car trip with Mary Lou Williams, watch Jim Hall rehearse, go shopping with Stéphane Grappelly, walk New York streets with Mingus and Ellington. These encounters are buoyed with the irreplaceable details we are accustomed to finding only in great novels: Balliett sits down to eat with Red Allen and his wife at their home. Junetta, the Allens’ six-year old granddaughter, eyes the fried chicken hungrily, mutely. Mrs. Allen, a model grandmother, stern yet indulgent, capitulates, “All right, a small piece. Otherwise, you’ll ruin your supper. And don’t chew all over the carpet.” I regret I was not invited to that dinner, but I am thankful Balliett was. Even readers who have nearly memorized the Profiles as first published in The New Yorker will find surprises and delights here (the prose equivalent of newly discovered alternate takes) for Balliett is an elegant editor in addition to everything else. He has done more than adding the inevitable paragraphs lamenting someone’s death; he has removed scenes no longer relevant (an Ellis Larkins recording session where the music, frustratingly, was never issued) and substituted new encounters. Most jazz fans are well-supplied with anecdotes where the teller is the true subject, requiring listeners with divine patience (“I rode the subway with Benny Morton; I saw Jo Jones livid when the bassist was late”). These tales, and their published counterparts, “and then I told Dizzy,” “Woody once said to me,” are not Balliett’s style. In American Musicians II, he has subtly removed himself from the interviews as much as possible, making himself nearly invisible, silent. The light shines on Warne Marsh, not on Balliett first, Marsh second. The only regret possible after reading the book is that Balliett did not begin writing for The New Yorker when it began in 1925. It is hardly fair to reproach him for not being older, but I imagine wondrous Profiles that might have been. What would he have seen and heard at Connie’s Inn in 1929? The Reno Club in 1936? Minton’s in 1941? Jimmy Ryan’s in 1944? What stories might Eddie Lang, Frank Teschmacher, Jimmy Noone, Tricky Sam Nanton, Fats Navarro, or Tony Fruscella have told him? Since these meetings must remain unwritten, we should celebrate what we have. American Musicians II is revealing and moving, because Balliett is a great musician whose instrument is prose, whose generosity of perception has never failed us.